CBS has decided to pay the Ransom once again, renewing the series for season three. The internationally co-produced drama costs the network very little and helps keep the lights on on Saturday nights. With 0.3s being the norm for the show, it cleary isn't a hit, but its also apparently enough to justify whatever cost CBS is putting up for the show. Luke Roberts and Nazneen Contractor star in the show. What do you think of this news? 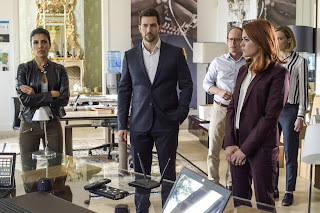 Will you tune in for Ransom's third season? Let us know in the comments below.